Beans vs. Cornbread » Weekend Haul – I used a coup’n! Weekend Haul – I used a coup’n! I got a Bricklink order in the mail that included stuff to improve that building background I’m slowly working on, blue round open-ended bricks (and wait until you see what THAT’S for) and other random parts. From Toys ‘R Us, I got The Imperial Landing Craft set with a $5 off coupon. I didn’t even build the set. I’m still in the middle of separating all the parts into various baggies with a few parts going right into stuff that I’m working on now. In fact, that set gave me two grey tiles that I needed for that building backdrop’s sidewalk. Now I have 5 Stormtroopers which is good enough for any crowd scenes I need to do at this point. This was the biggest set that I’ve ever bought myself and I only bought it because I had a coupon. If I had more money, I probably would’ve gotten one of the bigger Batman sets. If my batteries don’t fully die, I’ll take some more Lego pics this week. At Splitstone Entertainment in Hermitage, PA, Raijin spotted the mighty Street Fighter Alpha 2 guide by Versus Books and, well, there was no way I could pass that up. More than a collection of tips and combo instructions, it’s packed with official Capcom artwork including the line drawings of some sprites, in-game portraits and cinema scenes. I’m pretty sure this is the same book that I saw once at Babbage’s and said, “I’ll get this one next time.” only for the next time to be about a decade later. It’s worth the wait for the artwork alone. 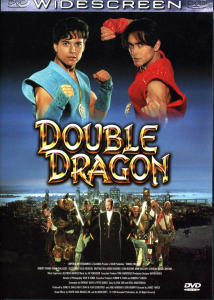 Despite being warned against it, I also picked up the live-action version of Double Dragon on DVD just so I can properly review it for ScrollBoss. While it completely fails as an adaptation of the game, it’s a cute movie for kids that were probably digging TMNT at the time. It’s almost like they were going for a TMNT movie vibe with it. Plus, it has Alyssa Milano in shorts. Besides, nothing is as bad as House of the Dead. I don’t know who kept typing “news” but it was annoying. ANYWHO! 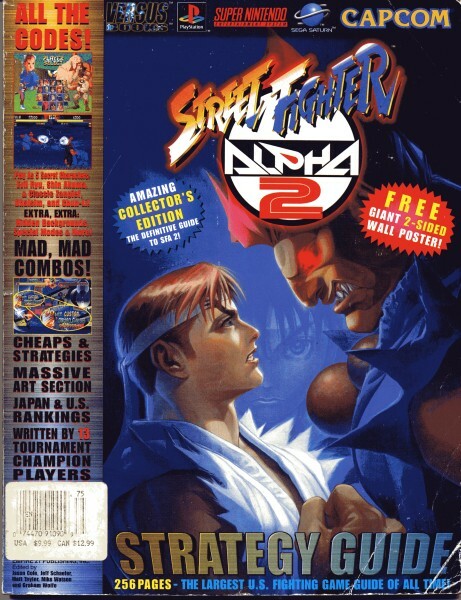 I used to have that SFA2 book, don’t have any clue as to what happened to it, but yeah it is totally awesome. I miss that and my Street Fighter II Turbo Strategy Guide. Those are some Spambots taking advantage of the pingback/trackback feature by linking to the page. They’ll be deleted shortly. There’s quite a few sickening terms that makes me wonder who the fudge the audience is for what they’re advertising. Ah, I have an insanely battle-damged version of the SFII Turbo guide! Those two are classics, man. Tell you what: I’ll keep an eye out for both when I hit the used game places. If Splitstone Entertainment in Hermitage has either one, I’ll pick it up for you.